Margie J. Baldock's "The Mother Lode Manifesto" is a book that aims to give women the tools and inspiration necessary to achieve their financial goals. Baldock, as an entrepreneur, property developer, and financial commentator, comes from an eclectic background, and at the same time, she is very active in her family life. Baldock calls upon her personal background frequently in the book to offer concrete examples of how she solved the work-family balance problem. The book begins with a significant amount of social commentary on women's history; then the author shifts toward giving advice on how to reach financial goals as a woman. One of the strengths of the book is that the author lays out her plans in a step-by-step fashion, making it easy for the reader to follow along. Additionally, Baldock knows that every woman has different interests, so she lays out different options for attaining wealth, such as property investing and starting a business from scratch. Baldock includes information outside the specific financial aspects of wealth, such as how to have the proper mindset and how to gain support from your family. The book also includes references to helpful resources the author has provided on her website. 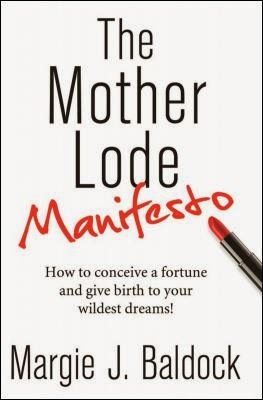 Overall, "The Mother Lode Manifesto" is a great personal finance book, with lots of history and social commentary, for any woman looking to achieve wealth in a way that meets the demands of her life.